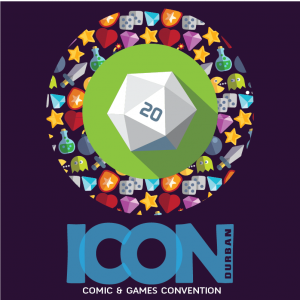 A Durban-based three day convention covering the best in comics, tabletop and board gaming, cosplay and all facets of popular culture. Please read the following important information about ICON 2019. Age Restrictions: Children under 8 will be admitted for free throughout the show and no ticket is required. Ticket Pickup: Please bring either your printed out ticket or present your ticket on your phone for scanning upon entry. Companions for those that require Medical Assistance will need to buy a ticket. ICON DURBAN tickets are non-transferable and non-refundable. You will be charged full price for a replacement ticket.